(spa)Michelle Jerott escribía con su nombre real, y ahora bajo el seudónimo Michele Albert. 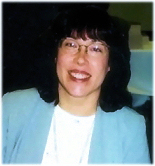 Michele Albert wrote with her real name, and also under the pseudonym Michelle Jerott. Meet Alan Paul as he reads from his biography of The Allman Brothers Band, One Way Out. Michele Albert/Michelle Jerott's very first romances she ever read, way back in high school, were Kathleen Woodiwiss's "The Flame and the Flower" and "The Wolf and the Dove" (published by Avon in the mid-70s). She said: "I fell in love with Heather and Brandon, Wulfgar and Aislinn--and have been hooked on romances ever since. I like nothing better than to curl up with a good book and a hot cup of coffee, and romances will always be my books of choice. Unlike some authors, I didn't come out of the womb wanting to write books. In fact, from about the age of 14, I wanted to be an archaeologist." Michele graduated with a classical archaeology degree from the University of Michigan in Ann Arbor, and even attended a summer program at University of London's Institute of Archaeology. She remembered: "My first dig, in high school, was a Mississippian Indian site not far from Terre Haute, Indiana, and my last was a Roman fort outside Newcastle in Great Britain. There, standing up to my knees in mud and swinging a pick ax, I decided that maybe archaeology wasn't my calling in life, after all. A career fast track was fine and dandy, but I wanted to take the scenic route through my own life instead. So, I had a baby and eventually went to work in a research lab, which allowed me time to write. When I sat down to write my first story, I had no doubt it would be a romance. As a kid, I was disappointed that girl oriented stories rarely had the same sort of fun, excitement or dangerous adventures as the boy oriented stories. Consequently, I re-wrote a lot of those books in my head. As I grew older, I discovered the books I liked to read (and write) were those in which the heroine has all sorts of fun and excitement... and yes, even adventures, dangerous or otherwise. On July 31, 1997, after three years of writing and shopping my manuscripts around, I sold my first book to Avon. A couple days later, I won the Romance Writers of America's Golden Heart Award for that same book, an award given to manuscripts written by unpublished writers. All in all, 1997 was an exciting year! Becoming a published writer has been a long-time goal, and I'm so excited to have this chance to make my dream come true. More importantly, I hope to share with you, through my characters and their stories, a little magic, a little fun, and a whole lot of romance!" She wrote her four books under her pen name, Michelle Jerott, and later she used her real name Michele Albert to continued a series that started with "Absolute Trouble", her debut novel. Her novels: "Her Bodyguard" and "Getting Her Man" were both nominated for Best Mainstream Novel by Romantic Times and "Off Limits" appeared on the Waldenbook's National Bestseller List. Romantic Times also nominated "Her Last Chance" for Best Romantic Suspense Novel. Michele lives with her husband and two lazy cats in a small town outside Madison, Wisconsin. Michele Albert is a LibraryThing Author, an author who lists their personal library on LibraryThing. Michele Albert is currently considered a "single author." If one or more works are by a distinct, homonymous authors, go ahead and split the author. Michele Albert is composed of 2 names. You can examine and separate out names.